Looking for the perfect wedding venue at the perfect place in Delhi? Well, your search ends here! Chattarpur is one of the most sought after area for marriages. Located in South Delhi, it enjoys easy connectivity to Gurgaon, Faridabad and most parts of Delhi. With greenery all around and away from the hustle bustle of the city, F&B Flora Farms, Chattarpur, Delhi makes it on the hot list of most families. 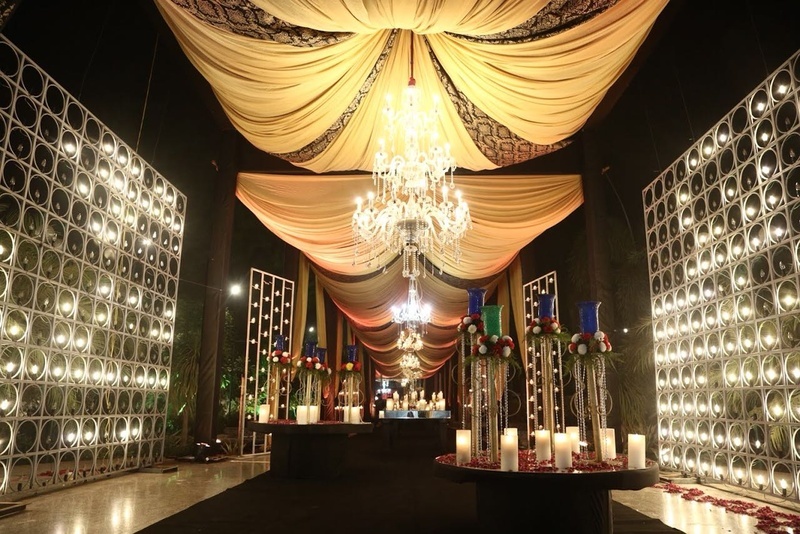 One of the swankiest banquet halls in Chattarpur, F&B Flora Farms, Chattarpur, Delhi caters to large scale events, plans beautiful, elegant and luxurious wedding functions. With a flexible approach to wedding planning, it has clients from all over the world and offers tailored services for individual needs. The management believes in commitment and high standards of service, excellence and attention to detail. Offering a bright and royal interior designed banquet hall, along with expansive plush green lawns, Flora Farms Chattarpur serves a wide range of delicacies to choose from in both vegetarian and non-vegetarian food to their guests. It gives you the freedom to get your own caterer from outside to serve your favourite cuisines to your guests for your function. The in-house culinary experts here are renowned for the delectable spread they serve, while their decorators do a tremendous job at decking the venues to fit your theme or suit your personal taste.